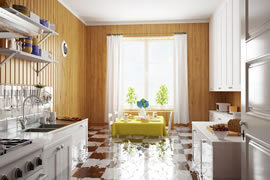 A flood of water into your home or business can happen for a variety of reasons; a burst pipe or water heater, a dishwasher or washing machine malfunction or a toilet overflow etc. Floods can also happen at any time. Regardless of the cause, flooding can have serious negative effects and cause damage very quickly. This damage can cause wood floors to rot, destroy furniture and personal belongings and even compromise the structural stability of a building. MRI is experienced in analyzing and handling all categories of water damage, from clean water to gray water contamination to black water containing pathogenic agents, pesticides, heavy metals or toxic substances. Common types of leaks found in the home are worn toilet flappers, dripping faucets, and other leaking valves. 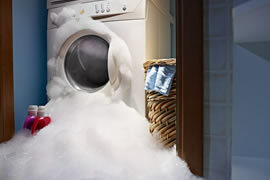 Sometimes however, major causes of water damage can occur when a household appliance such as a dishwasher or washing machine fails. We, at MRI, can restore your surroundings by drying out areas that include carpeting, drywall, sub-floors, concrete and wood. Call us today. Pipe leak repairs could be simple like repairing the tiny line to the ice maker or repairing a sewer drain in your home. Most pipe leaks can be a serious problem and result in big damages to your home. Even small leaks, if left undetected, can damage the home's structure and cause unwanted hazards. 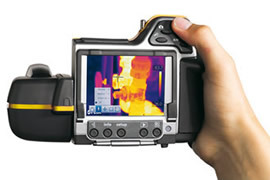 At MRI, we use advanced and innovative technology to identify the sources of water leaks and areas of a building affected by moisture. We work to identify affected areas that the naked eye cannot see. Whether you have copper water pipes or pex piping in your home or office, both can have leaks. Copper water pipes develop leaks at soldered joints or pin holes can develop from chemical corrosion, nail holes, or freeze breaks. Pex also can develop leaks from nails, kinks, critter bites and loose connections. Older homes may have galvanized pipes, whose life span expires around 20 years. Leaks can occur from a burst water supply pipe inside a wall or under a floor, or simply a leaking shower valve.